Money in the future isn’t a matter of relying on every paycheck coming in exactly as expected. If you save up, the future looks a lot different. 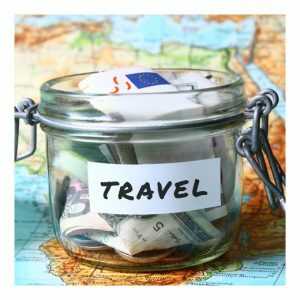 You can plan trips and large purchases ahead of time. It’ll take all the stress out of spending, and it’ll take a lot of stress out of living. Here are some tips to get you started. Why do you make money? To pay bills? What else? Do you want to fund a hobby, go on a trip, plan for a future child’s schooling? If you create goals, you’ll be able to reach them with financial plans—estimate how much you need, how much you make, and how much time you’ll have, then the rest is easy. These considerations are the foundations for any budget. Some people hate this word. But budgeting is the only way to get your money to work for you. Of course, you work to earn money, but have you thought about the ways in which you can, now, become more independent from your earnings? That’s what making your money work for you means. When you’re hanging out with friends, or that new video game is released, it’s easy to blow the latest paycheck. In these situations, it can seem like your always chasing that next payday. Create an expense sheet. List all your monthly expenses—estimate if you need to, for your food and gas costs, for instance. Then add all your income per month together. Now subtract your expenses from your income. The money left over is free for you to save or assign to different goals or wants for the rest of the month. It’s a good policy, however, to try to save at least ten percent of what you make monthly in a savings account. And many people recommend only spending about 5% of your monthly budget for entertainment. This is just an extremely basic budgeting strategy. But there are plenty of strategies available online. Whatever you do, plan ahead! The post How to Create a Basic Budget appeared first on Apartments For Us.